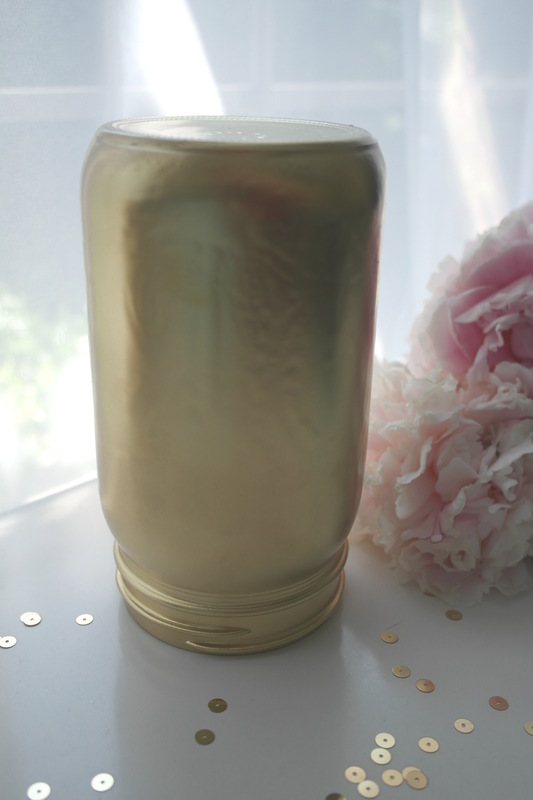 Our wonderfully creative blog contributors, Kristen and Missy from Sweetly Chic Events & Designs, are sharing a gorgeously chic mason jar vase tutorial with us today! Nothing sets the ambiance of an event or brightens a room like fresh flowers in a stylish vase! 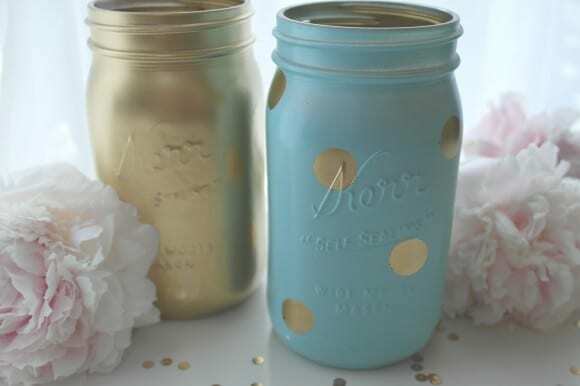 Mason jars are a fun and easy option for centerpieces, ranging from a chic way to liven up your home, to setting the scene at a wedding. This quick, easy and trendy take on your basic mason jar is a fun way to add a little style to your home or next event! 1.) 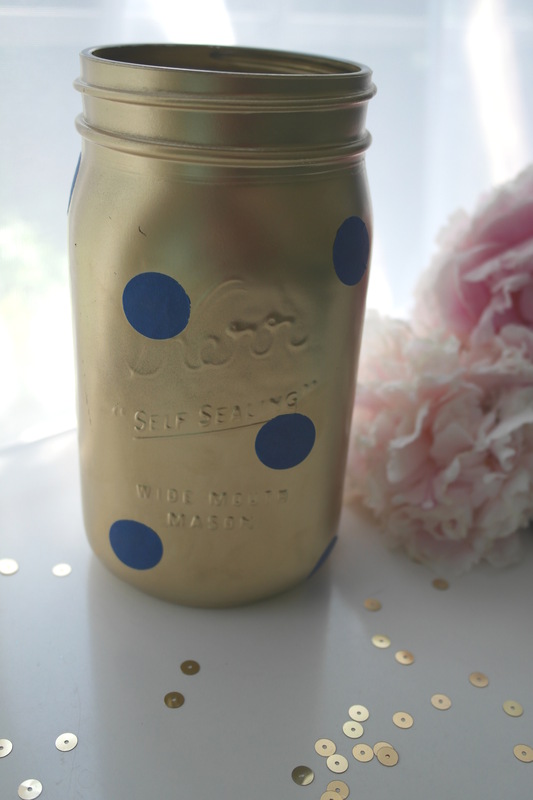 Select a mason jar from your local craft supply store. (We chose a quart size, but you can use any size you like!) 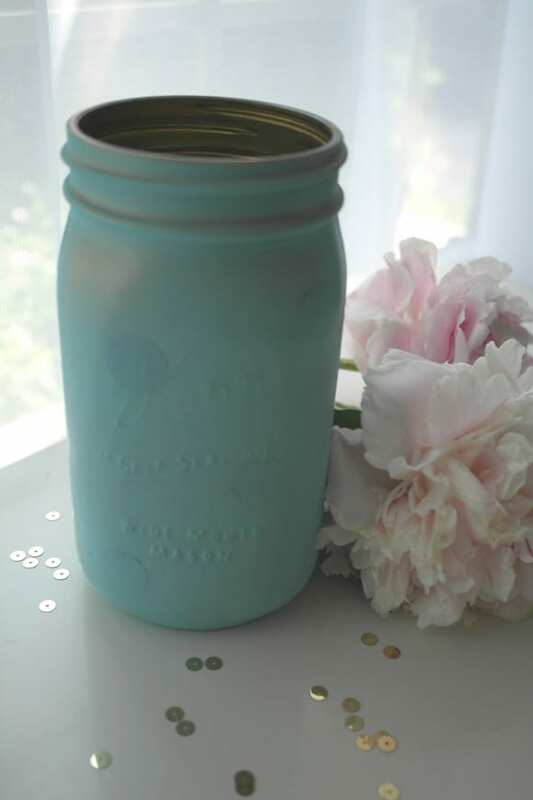 Prepare your mason jar to be painted by washing and drying it carefully. Next, turn your jar upside down. 2.) 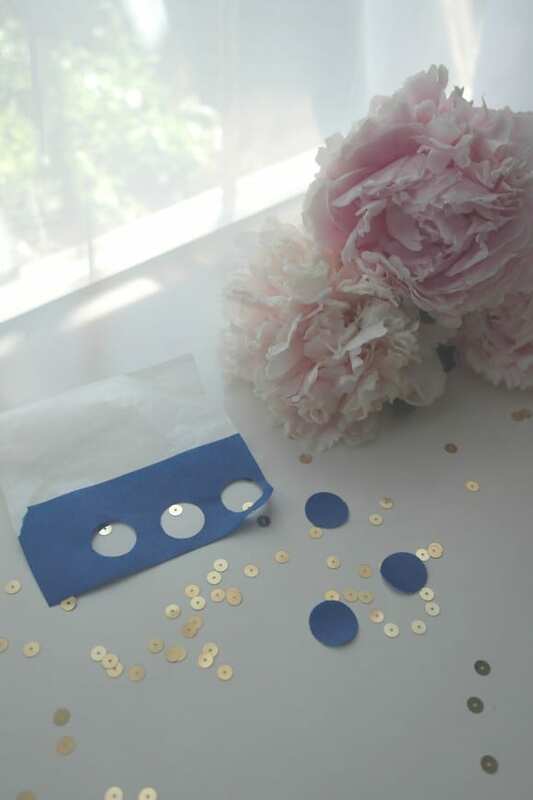 Select the color paint you would like for your dots, we chose gold. Spray the entire jar in even strokes until it is completely coated. Allow the paint to dry for 30-60 minutes. 3.) Next, take a strip of your painters tape and adhere it to the wax paper. This will make it easier to punch. 5.) 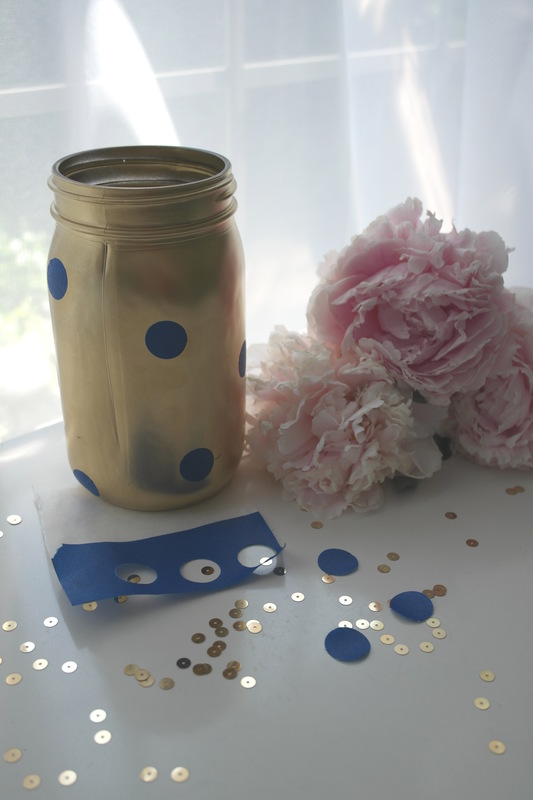 Carefully peel the wax paper away from the back of your painter tape dots and apply the tape dots in any pattern you like on the jar. 6.) 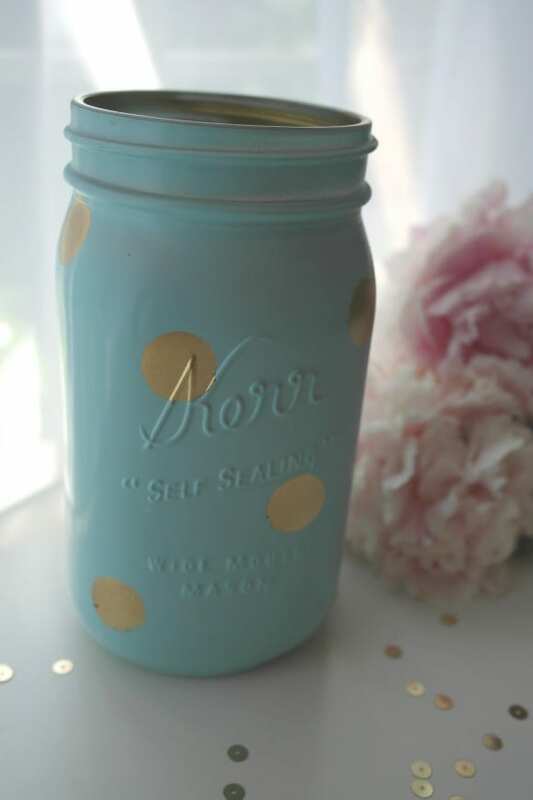 Once your dots are applied to the jar, you will be ready to paint the next coat. 7.) 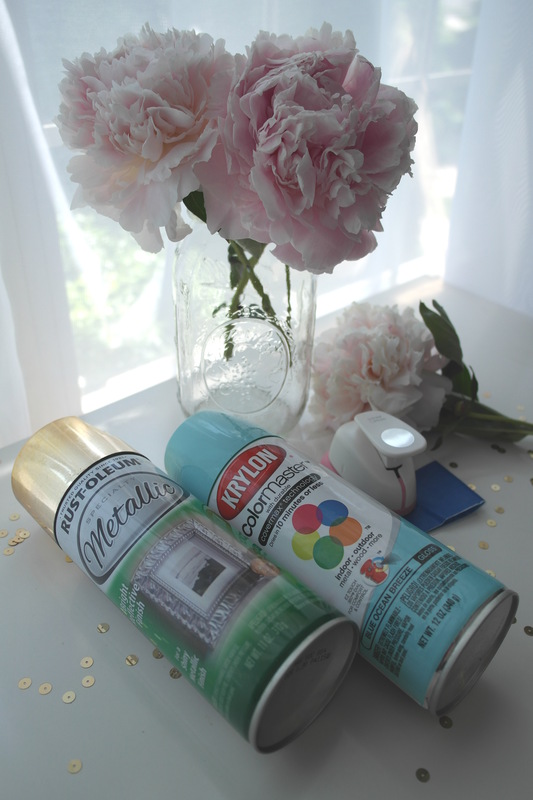 Using your second color, spray the entire jar in even strokes until it is completely coated. Allow the paint to dry for 30-60 minutes. 8.) 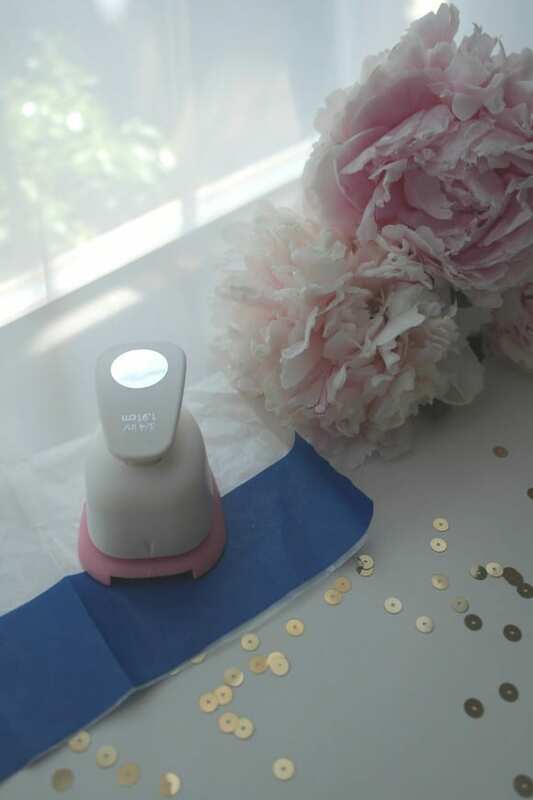 Once your top coat is dry, carefully peel of the painter tape dots to reveal your base color, creating a fun and beautiful pattern! 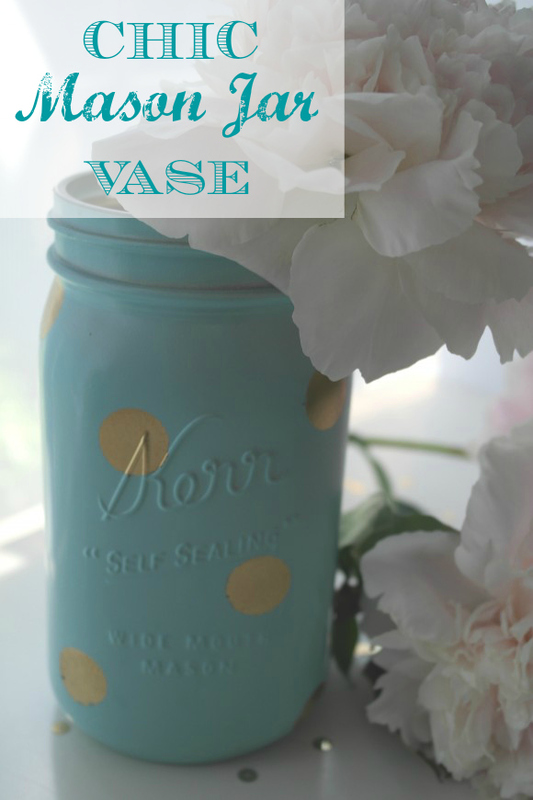 Add your favorite flowers to your new vase and enjoy! Thanks so much, Missy and Kristen! 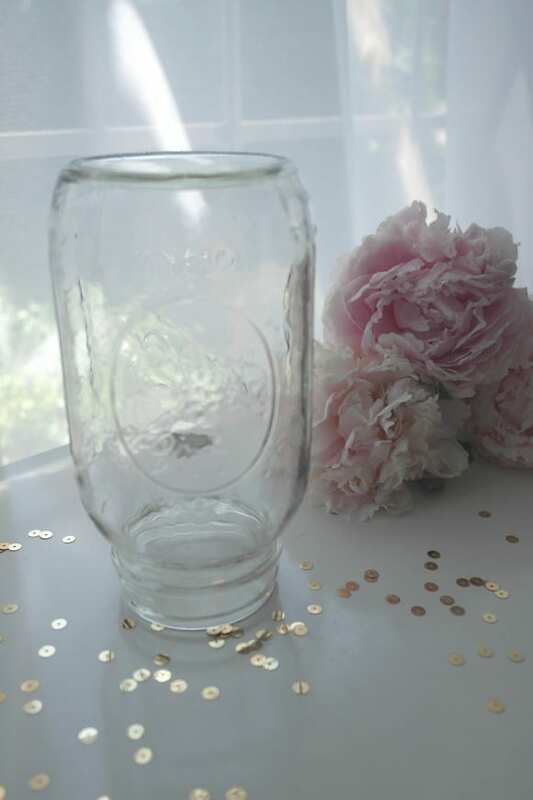 These jars would be lovely as a centerpiece at a rustic celebration! Love this! 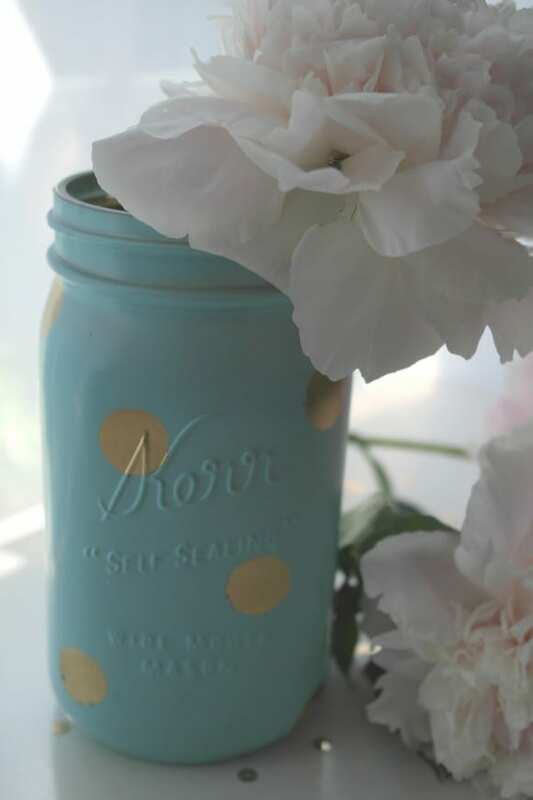 Mason jar crafts are one of my favorite types of crafts.